Each week we secure more than £1million in compensation for our clients. Perhaps your Dad was hurt on a skiing holiday? Maybe you had a bad reaction to a botox injection at the beauty salon? Or maybe you hurt your fingers closing a badly designed children’s buggy? If you have been injured as a result of a defective product or service you could be entitled to compensation. The Consumer Protection Act 1987, which brought in ‘strict liability’ for injuries caused by defective products. This means that if you can show that the product was defective in some way, and you were injured as a result of that defect, then the person responsible for the product will automatically be liable to pay compensation. The Sale of Goods Act 1979, which requires that goods sold to consumers must be as they were described; of satisfactory quality and fit for purpose. These requirements are implied in all contracts for the sale of goods, and if they are breached then the purchaser is entitled to compensation. The Supply of Goods and Services Act 1982, which requires that when a consumer enters into a contract for goods and/or services, the goods and services must supplied or carried out with reasonable skill and care. If they are not, then it is a breach of contract and the consumer is entitled to compensation. No one makes a claim for compensation without having thought about it carefully first. To find out more about what is involved in a consumer injury claim, click on the links below, or give us a call on 0800 0891 331. 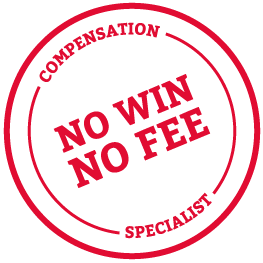 One of our specialist injury lawyers will be happy to talk things through with you, free of charge and with no obligation. Thompsons' solicitors are experts in advising people who would like to make a consumer injury compensation claim. We are an award-winning personal injury law firm and have an excellent success rate, winning over 90% of our personal injury cases. We aim to obtain the maximum compensation available in every case, although the actual amount you receive will depend on the injuries you have suffered and the losses that arise from them. Thinking about a compensation claim? Talk to an expert on 0800 0891331.